What is The Somatic Method (TSM)? Traditionally, we've been told that physical well-being was about building up our strength through 'peak performance' conditioning and that our mental or emotional well-being was about exploring the 'valley', where psychic weaknesses and unprocessed wounds lurked. We've gotten so used to these polar opposites that we've seen cottage industries emerge around the adrenaline junkies and couch potatoes in the last 20 years. Yet most of living is done in the rise and fall of natural rhythms we have lost contact with as we gravitated to either peak or valley based behaviors. Formal modalities can't reach us there. In order to regain our 'first person' authority, we need to re-discover the informal nature of that untamed wave we call experience. This is where TSM breaks from tradition and puts you back in touch with the wholeness of linking all four perspectives in a continuous, dynamic rhythm you can access and refine in your daily life. In order to reunite 'self and surroundings', TSM offers two individually-paced practices that anyone can do. Once you know the basics of both of them, you'll discover what really directs your attention. The notion of being able to shift from focusing on your inner world to your outer one is a flexibility not many of us achieve. TSM provides a way to establish a 'mobius strip' for your attention to travel on. Here's a brief overview how it does that. The social side of TSM is about experiencing a more fluid relationship with others. In order to achieve that, the unspoken process of PROFILING, which operates OUTSIDE our conscious awareness 99% of the time, is brought into focus. Again we return to the concept of non-verbal connection - something we've all experienced in any good conversation - as the principle at work behind the process. In a nutshell, our interactions are a waveform of their own. We seek images that are familar or novel, powerful or beautiful, organized or dynamic, in effect it's a visual appetite we're feeding. Society serves as a living mirror that we experience through an image-action filter we call an S-List or Soma List in TSM. We are all 'memory workers' as individuals and everyone (and everything) we cross paths with are INFORMANTS of what's on or not on this S-List of preferences, references and deferences we carry within us. Learning how to decode these somatic messages, that come at us from all angles, is what TSM offers you. The best part? You can become an expert profiler doing the activities you already love to do now. This gets us into the concept of "entrainment through entertainment" that we've seen used successfully in cinematherapy and child life development. OK, all that aside, do you see how TSM weaves all these divided puzzle pieces together? SIMPLES works to restore a personal sense of coherence on the conscious foreground of our awareness from the inside-out. PROFILING works to restore a social sense of coherence on the other-than-conscious background of awareness from the outside-in. Together they work to help your loosen that division and then live beyond it. 1) TSM Softens Distractions - A lot happens in a typical day. We all accumulate what's called 'day residue' that gets processed during the REM cycles of sleep. Yet one of the most rapidly growing issues in modern living is how little quality sleep we get. As a result, we must navigate through both the external traffic of the next day and internal traffic of yesterday. By practicing TSM on a regular basis, you can unhook from these obstacles on your course and learn to take a more scenic route. 2) TSM Simplifies Intentions - TSM provides you with a portable 'reset' button you can press instead of that panic button you reach for every time something goes wrong. As you breakdown the process of performing SIMPLES and PROFILING a clearer, more self-sustained rhythm emerges. By reducing waking like to it's physical engine of coordinating breathing and moving everything you do becomes a form of 'meditation with muscle'. The power behind that awareness is grounded intention. 3) TSM Strengthen Concentration – As you distractions lighten up and your focus includes all aspects of the untamed wave, the next benefit begins to open up within you. When concentration levels are low, people tend to 'multi-task' which is a neurological impossibility. We are prioritizers! A healthy concentration level refreshes and re-balances the tasks and targets we're aiming for without having to intensify it's efforts. The result is more productivity with less energy spent. 4) TSM Sharpens Attention – TSM's most prized payoff surfaces when you get to experience the buzz of that flow state that circulates through you as you see-saw between the inner resonance of SIMPLES and the surrounding harmony of PROFILING. This is why the phrase "Surf Life" best describes the impact of TSM on an individual, a relationship or family. Suddenly, what was flooding you, fuels you, what was sticking it too you, stimulates you. 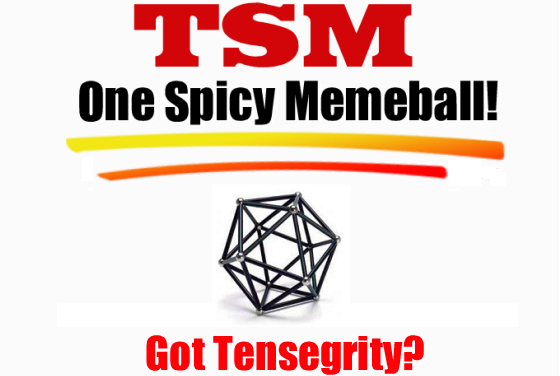 This is TSM's Holy Grail or 'San Graal' of Living. Sometimes these payoffs are given the shorthand of 'Seagulls & Cycles' to lump them into one TSM concept. If you remember (and that's a big if) one of the most popular spiritual books of the 70's was Richard Bach's Jonathan Livingston Seagull - This is the icon for Valley Victims that evolved into the modern day coach potatoes. The other half of this is Cycles, which is what we are living in. It's also the code word all the Peak Punks of the 80's who 'pumped up' and then pooped out used when they were changing the ingredients of their 'juice'. These sapes became the Adrenaline Junkies we see climbing every rock wall they can find. What we aim to do in TSM is take the best of these worlds and create a more coherent whole that can include more people who prefer Nivea to Nirvana and Rolling Rock to Rock Hard Abs. The point is that everyone already does TSM, whether they know it or not. But not everyone does TSM well. IOW: Surf Life! TSM parallels many traditional and contemporary movement-based practices. Some of them include Tai Chi Chuan, Brain Gym, and Neurobics. Each of those apply the basic principles that TSM has used to create and then put into practice the personal and social aspects of what we're calling 'nature's body language'. The back story on how TSM evolved and the underpinnings of the practices are explored and advanced in my weekly wisdom wooletter, "OVI: Of Vital Interest", where we breakdown some of core concepts we've adopted in a little more detail. For those of you looking to apply TSM as a self-study, visit our store to get the scoop on our e-products. She'll get back to you within 24 hours.